Lamacchia Realty is happy to provide the community of Plymouth, Massachusetts with their home buyer and home seller real estate agent services. 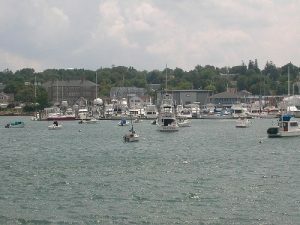 There is so much to Plymouth as it has the largest land area of any municipality in the state. From the southern most point almost touching Cape Cod to the downtown area, we understand how the market is evolving. With a population of around 60,000 residents and 22,000 households, there are people constantly moving in and out of the town. Lamacchia Realty has two things major services to provide to sellers: 1. Some of the best real estate agents out there, and 2. tools of a larger company that allows us to excel past the competition. If you are looking to sell your home, it can be one of the more frustrating and stressful experiences. Of course, you want to sell your home for the best price possible and as quickly as possible. When you work with Lamacchia Realty in Plymouth, you are able to utilize our company because we have the best marketing in the area. When your house is for sale, everybody will know! Through television, photos, interactive floor plans, local & international real estate websites, reverse prospecting, social media, and more, we are getting your listing out there! Buying a house can be as complex as selling one. If you are looking in Plymouth, MA and the surrounding communities, there are different neighborhoods, house styles, and much more! Finding the house you’re looking for can be extremely difficult but the benefits of working with Lamacchia Realty is that we can simplify the process. We have the assets and local agents on hand that gets results. Our customer testimonials and reviews are what we strive for and we look forward to helping homeowners find the house they’re looking for in the area. The median home price is $363,700. If you’re set on living Plymouth you won’t be limited to only a few different housing styles. Some towns are dominated by a few different styles but Plymouth is extremely diverse in this. There are over 2,200 acres of open space in Plymouth. From beaches, ponds, neighborhood parks and large family backyards to wooded trails for hiking, walking and running you can find something for you. The coastal town center is a great spot for nightlife too! To learn more about Plymouth Public Schools, click here! For more information please feel free to contact us today! We can be reached by phone at 855-510-SOLD or through our online contact form!